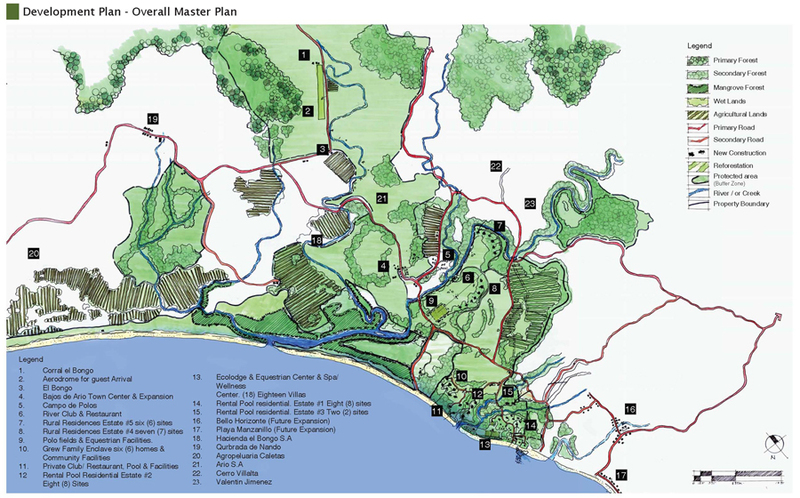 HM Design was the Team Planning and Design Leader, ecotourism planner and landscape architect for an ecoRanch in the Nicoya Peninsula of Costa Rica. HM Design’s team of Ecopsychologists and Landscape Architects worked very closely with the client family to prepare a Sustainable Master Tourism plan for the whole 4000 acre property. The master plan includes a high-end 18 unit ecolodge and wellness center (Phase One), rental pool homes, pool, stables, polo field, family estate, research station, ranger post, library and trails.